As far as I'm aware the 50ASA is Fuji Velvia, and the 100ASA is Kodak Ektachrome 100D. Kahl has a reputation for being a bit secretive (or possible just a bit uncommunicative) so I wouldn't hold my breath for any confirmation from them. I have used both the 50 and the 100 ASA films by Kahl and with the 100 ASA one I would also guess that it is Ektachrome. I doubt very much that the 50 ASA film is Fuji Velvia, it doesn't really fit colour impression wise; what gets me with the 50 ASA Kahl stock is that it doesn't produce the same "sharpness" that the 100 ASA stock does. I have looked at their fine-grain B/W film offerings, and I was curious, but since I can't find anyone who has tried those stocks, and since Kahl wants to develop the film themselves, it doesn't seem practical for me in the US. If you're talking about the Kahl Dokument 12, I'm pretty sure this is Kodak 5363/7363. Thank you for that heads-up! I am just about to try some Pro-8 stocks, so next time around I will look for that very slow one. ........is there any chance we'll see Kahl or any other company exporting 8mm here in the UK and breaking the monopoly of Kodak 64 at all?? 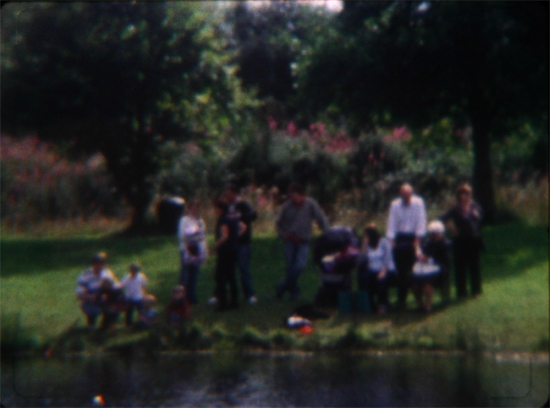 I have used Spectra Film & Video 100D in the Super 8 format; outstanding! I've got Ektachrome 100D for sale, but only in Standard 8. I've also got 7362 B&W 10 ASA, and Plus-X. The Plus-X isn't spooled up yet, so I can't sell any of that immediately. 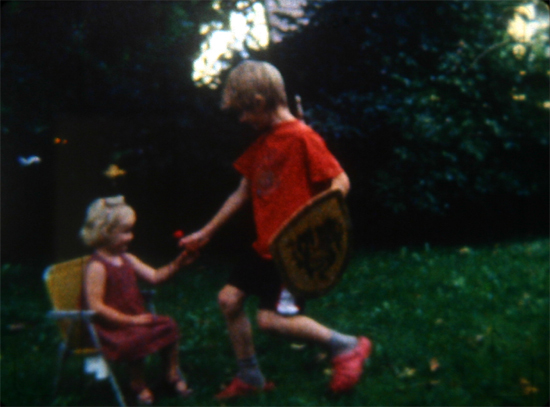 Here are two screenshots (off a film editor - that's why they are so bad ), the first E64T (Super8) and the second one Kahl UT18 (Standard8). My opinion is that the colours on the Kahl are very natural but there is always the issue with the sharpness; E64T's colours are very strong and the grain is much more obvious.